As parents age, they may need assistance with everything from getting around town to figuring out the TV remote. When they do, they often turn to those they trust most, their adult children. The same is true for healthcare decisions, including when to seek cataract treatment. 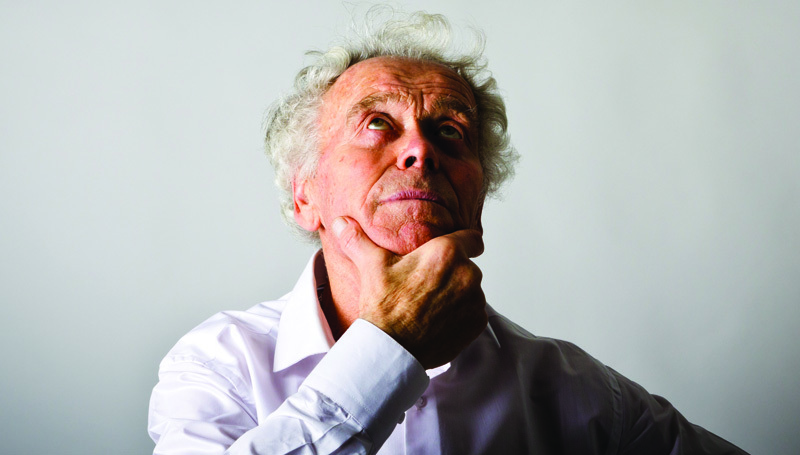 Many seniors can be reluctant to accept or admit that their vision is failing, seeing it as an unwelcome sign of aging. In some cases, denial leads to lack of treatment, robbing them of quality of life. Researchers found that adult children are more likely than spouses or friends to observe and point out changes in their parents’ vision, with study author and ophthalmologist, Brian C. Stagg, MD, suggesting that an adult child who visits their parent might notice vision changes that others have not. Plus, the opinions, recommendations and research provided by adult children may carry more credibility. After all, who else could have your parents’ best interests more at heart? If you suspect your mom or dad may have cataracts, watch for the warning signs. They may have particular trouble seeing at night, or be especially sensitive to bright light. In later stages, you may even notice a visible clouding of his or her eye lens. 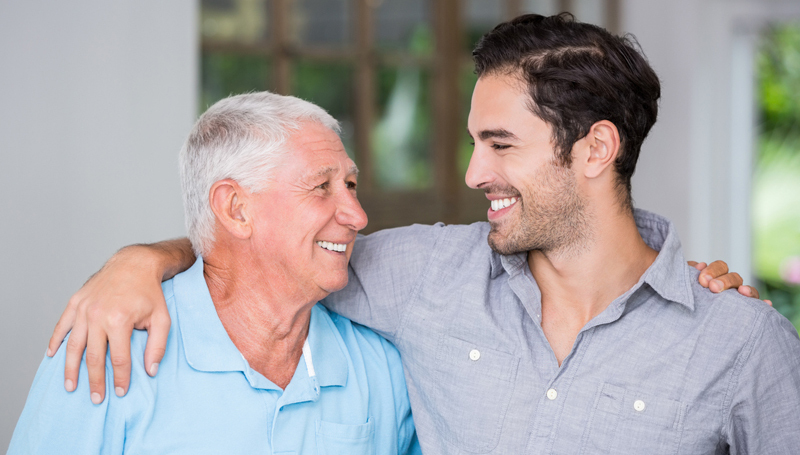 Talk with your parent open and honestly, and do some research into cataract treatment options. 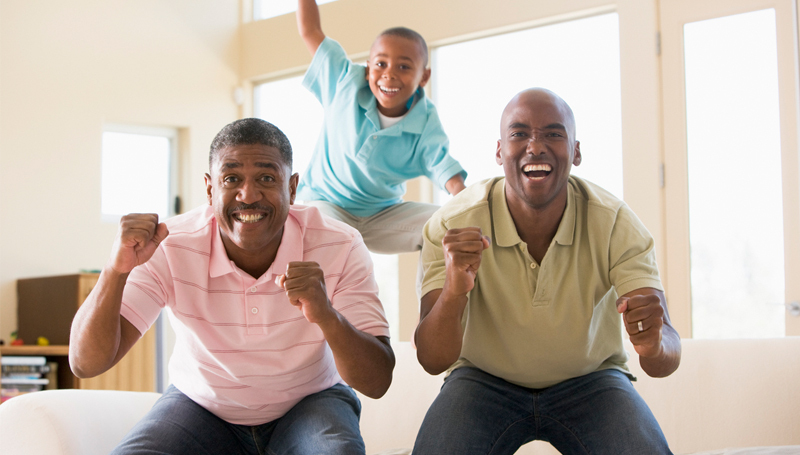 Then, schedule an appointment for mom or dad to get a comprehensive eye exam and cataract screening. At North Florida Cataract Specialists and Vision Care, we offer both traditional cataract surgery and state-of-the-art laser cataract surgery. 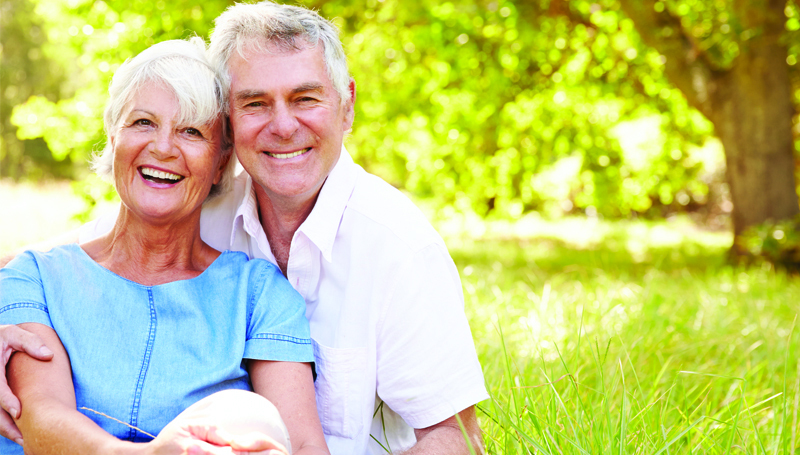 To find out how we can help permanently correct your parent’s cataracts, contact us today at 352-373-4300. If you’re like the majority of Americans, you spend a fair amount of your day in front of a computer, tablet or phone screen. Data from The Vision Council shows 80 percent of U.S. adults use digital devices for two hours or more each day, and 59 percent report experiencing symptoms of digital eye stain. Digital eye strain – also known as computer vision syndrome – can result from extensive, continual or improper viewing of digital screens. Symptoms can include headaches, blurred vision, dry, burning and irritated eyes, watery eyes, light sensitivity, difficulty keeping your eyes open and more, both during and following time spent with screens. It’s important to allow enough space between your device and your eyes. In the case of a computer monitor, experts recommend 25 inches away, with the top of the screen at or just below eye level. For smartphones, approximately 12 inches is sufficient. Be sure to adjust text sizes, screen zoom, brightness and contrast to levels that are comfortable for you. Blinking plays a critical role in eye health, spreading oils and fluids to moisturize and refresh your eyes. Often, when viewing content on screens, however, people blink half as often as normal. So, don’t stare, and blink often. If necessary, over-the-counter artificial tears eye drops can help relieve temporary dryness. Vision ergonomics specialists recommend using the “20-20-20 rule.” After every 20 minutes of screen time, look at an object at least 20 feet away for at least 20 seconds. This helps your eyes relax and reset. Take a longer break, 15 minutes or more, after every two hours spent on devices. Your device screen should not be brighter than the room you’re in. So, turn on room lights, reduce your screen brightness or both. Find a happy medium where the light levels aren’t competing. You should also limit glare by ensuring room or ambient lights aren’t reflecting off your screen. Using an anti-glare screen filter and ensuring your screen is free of dust can also help. People who wear eyeglasses or contact lenses may be more susceptible to digital eye strain if they don’t have the right prescription. Not all lenses are designed for mid-range viewing of digital screens. If you wear contacts, try switching to your glasses for extended screen viewing. If you wear glasses, and regularly experience eye strain, talk to your eye doctor. You may benefit from a second pair of glasses made specifically for viewing digital screens. Although eye strain symptoms can be uncomfortable, they don’t generally produce long-term damage. These symptoms can, however, be indicative of underlying eye conditions that require diagnosis and treatment. 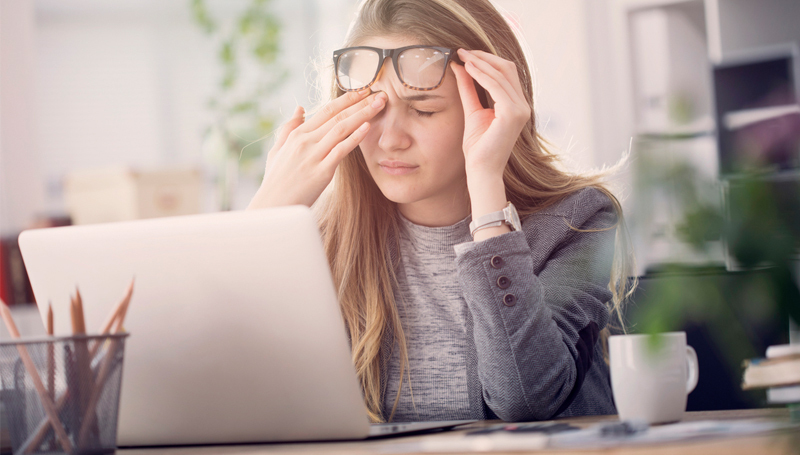 If you regularly experience eye strain or dry eye symptoms, contact North Florida Cataract Specialists and Vision Care today at 352-373-4300. Thankfully, cataracts won’t rob you of your vision overnight. They develop slowly over time, making symptoms increasingly worse. Some patients can live comfortably with eyeglasses or other vision correction for years after being diagnosed with cataracts. Eventually, however, cataracts will negatively impact your quality of life. If you are nearing the point where you can no longer enjoy daily activities – whether reading, playing cards, driving a car, or any other common tasks – it may be time for surgery. Surgery is the only effective, long-term treatment for cataracts, and can allow you to once again enjoy these activities. Cataract surgery is a specialty in every sense of the word, and your eyes are too valuable to trust to anyone but the best. If you are considering cataract surgery, do your homework to identify a qualified eye surgeon who offers state-of-the-art technology and treatment options. Many patients today opt for laser-assisted cataract surgery. Laser-assisted surgery is pain-free and more precise that its traditional surgical alternative. Dr. Gregory Snodgrass of North Florida Cataract Specialists and Vision Care was the area’s first eye surgeon to use the LenSx laser-assisted cataract surgery. Cataract surgery recovery times differ based on the type of procedure you choose. Traditional cataract surgery often requires a longer recovery and more discomfort during the recovery process compared to laser-assisted cataract surgery. Laser-assisted surgery causes less trauma to the eye, leading to quicker and easier recovery. With laser-assisted surgery, patients are typically released from the surgery center 30-60 minutes after the procedure. And many patients report improved vision in that time. 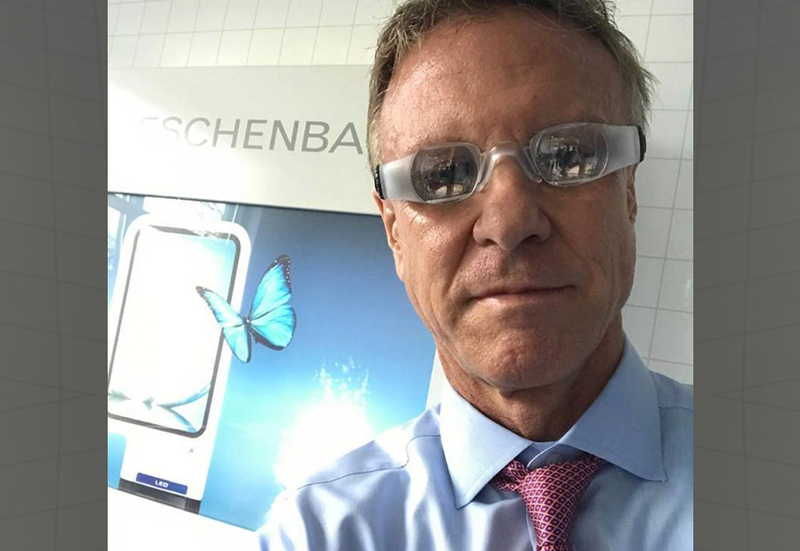 Patients are then generally recommended to wear an eye shield off-and-on for up to a few days. If you have questions about cataract surgery, or are ready to explore your cataract surgery options, call 352-373-4300 to today to contact North Florida Cataract Specialists and Vision Care. Our physicians and staff look forward to hearing from you. June is an important time of year at North Florida Cataract Specialists and Vision Care, as it’s National Cataract Awareness Month. Of course, cataracts are top of mind for our physicians and staff all year around, but this month really puts a spotlight on our nation’s leading cause of vision loss. 1. How Common are Cataracts? Most cataracts develop as a result of aging. As we get older, proteins in the eye lenses degrade, creating thicker and less transparent lenses. More than 22 million Americans over the age of 40 have cataracts. By the age of 80, more than 50% of American’s have cataracts. And, as more people live to 80 years and beyond, cataracts are increasingly common. 2. What are the Symptoms of Cataracts? Cataract symptoms generally include a combination of cloudy or blurred vision, double vision, lens discoloration, light sensitivity, glare and halos. Symptoms increase and get worse over time. Left untreated, cataracts inevitably result in complete blindness. Thankfully, these symptoms are usually enough to inspire patients to schedule a medical evaluation, during which a cataract diagnosis is made through a combination of a visual acuity test, slit-lamp test and retinal exam. 3. How are Cataracts Treated? The damage caused to the eye’s lens through the formation of cataracts is permanent. The lens cannot be repaired. That makes surgery to replace the natural lens with an artificial lens implant the only effective treatment option. Many patients today opt for laser-assisted cataract surgery, as it is 100% pain-free, offers more precision and requires less recovery time than traditional surgery. If you or someone you love experiences cataract symptoms, North Florida Cataract Specialists and Vision Care is here to help. Our doctors have the expertise and training to provide reliable diagnoses and state-of-the-art treatment. In fact, Dr. Gregory Snodgrass was the area’s first eye surgeon to use the LenSx® laser-assisted cataract surgical system. Contact us today at 352-373-4300 to schedule an evaluation. Macular degeneration, glaucoma, diabetic retinopathy and other retinal disorders can result in significant visual impairment that cannot be fully corrected with traditional eyeglasses, contact lenses, medication or surgery. This type of low vision affects the ability to see close and at distance. And while many people are familiar with treatment options for improving near vision, few know about an exciting new option for conveniently improving distance vision. In the image above, Dr. Gregory Snodgrass of North Florida Cataract Specialists and Vision Care models a pair of telescopic eyeglasses for patients with low vision. Specialty glasses like these make objects appear larger, much like binoculars, while also making the image brighter and sharper. This can improve patients’ ability to see faces, watch TV, enjoy outdoor events and even drive. Telescopic eyeglasses offer numerous benefits over previous solutions. For example, unlike a classic monocular telescope, telescopic eyeglasses leave your hands free. You can fully enjoy a range of activities without having those activities cut short by arm fatigue from holding a monocular up to your eye. The magnification level of your telescopic eyeglasses can also be customized based on your vision and lifestyle. Your eye doctor will talk with you to determine which activities you value most. Maybe you love going to football games, attending theater performances or taking nature hikes. Telescopic lenses can make all those activities so much more enjoyable. Loss of distance vision can be isolating. By allowing patients to enjoy their favorite activities again, telescopic eyeglasses can also promote improved mental and emotional health. If you know someone frustrated by low vision, North Florida Cataract Specialists and Vision Care may be able help. Dr. Christa Morris received special training in low vision at Nova Southeastern University, and conducts low vision clinics twice each month. Contact us today at 352-373-4300 to schedule your consultation. If you have vision challenges, your eyeglasses are arguably the most important thing you put on each day. Depending on your level of impairment, being without your glasses could prevent you from reading, limit your ability to discern faces or impact your ability to drive or even walk down the street safely. Nearly as bad as losing your eyeglasses is when your existing eyeglasses stop providing adequate vision improvement. If this happens to you, follow these three steps to see clearly again. When your eyeglasses don’t work as well as they once did, it’s highly possible it’s just a case of dirty lenses. Few people clean their eyeglasses as often or as thoroughly as they should. Eyeglass lenses collect dust and debris from the air and bacteria and oil form your skin. Proper daily cleaning is recommended. To clean your eyeglass lenses safely and effectively, start by washing and drying your hands. Then, rinse your glasses with warm water. Next, use your fingers to gently rub the lenses with a drop or two of dishwashing liquid. Rinse the lenses, and carefully dry them with a clean, lint-free towel. Be sure to inspect your lenses for any remaining dirt or smudges, as well as scratches. Excessive scratches can also diminish the effectiveness of your eyeglasses. If, after a thorough cleaning, your eyeglasses still aren’t performing as expected, your next step should be calling your eye doctor to schedule a comprehensive exam. It’s possible that your eyes have changed since your last appointment, requiring a new lens prescription to normalize your vision. It’s also possible that something completely new is happening with your eyes. While most patients initially get eyeglasses to address nearsightedness, farsightedness or astigmatism, many diseases can impact visual acuity. Glaucoma, macular degeneration, diabetic retinopathy and cataracts are just a few common eye conditions that can limit or negate the effectiveness of your eyeglasses. You are more likely to experience these diseases as you age. 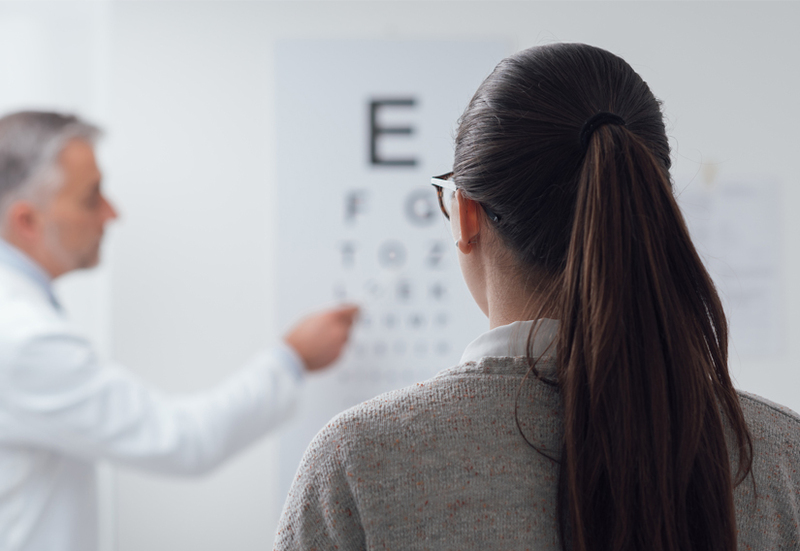 A comprehensive eye exam from an experienced ophthalmologist or optometrist can lead to diagnosis and treatment of these conditions, along with a new eyeglasses prescription. The best way to identify, treat and limit potential problems is through regular, recurring eye exams. Be sure to schedule your next appointment before leaving your current one. With your glasses working well again and no obvious symptoms of new vision problems, it will be easy to forget to schedule your next exam in a timely manner. That could put you at unnecessary risk of letting an eye disease go unnoticed when early detection could have slowed its progress. The American Optometric Association (AOA) recommends an eye exam every two years for adults ages 18 to 60, and annual exams for people ages 61 and older. 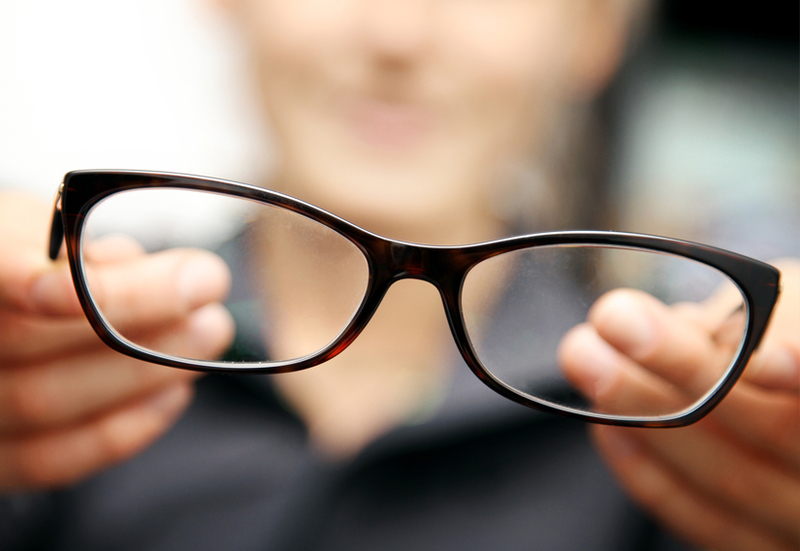 If your eyeglasses just don’t seem to work as well as they once did, now is the time to contact North Florida Cataract Specialists and Vision Care for a comprehensive eye exam. Call us today at 352-373-4300 to schedule an appointment at any one of our three convenient locations. What’s the Definition of Legally Blind? Legally blind is a term that is often misunderstood and misused. Many people believe a person who is legally blind has no sight at all, but the truth is, a legally blind person may be able to see well enough to read this article...although they will likely need to zoom in quite a bit. An estimated 1.1 million Americans are legally blind, a designation government agencies use when evaluating who gets certain disability and other benefits. According to current government standards, any person whose vision is below 20/200 is legally blind. 20/200 vision means the person must be within 20 feet in order to clearly see what a person with normal vision sees at 200 feet. The government also considers someone legally blind if their visual field is 20 degrees or less, meaning they have a very narrow field of clear vision. How is legal blindness tested? 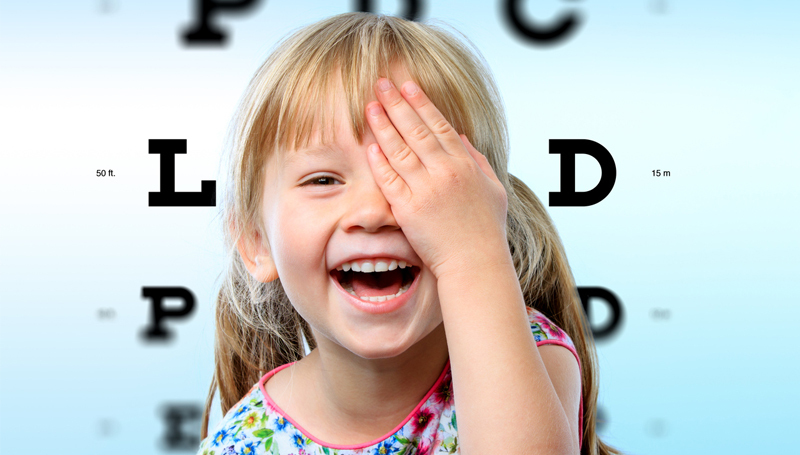 Your eye doctor can perform a comprehensive eye exam to determine whether you qualify as legally blind. If you wear contact lenses or eyeglasses, your eyesight will also be measured while wearing these corrective lenses. 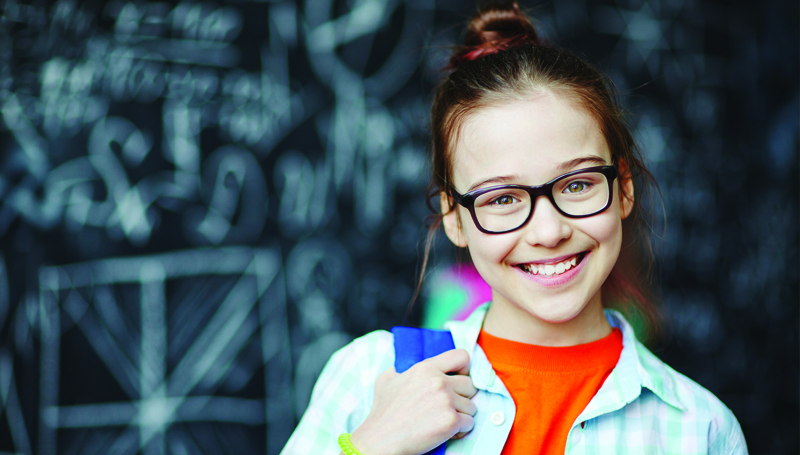 To be considered legally blind, your vision will need to be 20/200 or worse while wearing your lenses, or you must meet the visual field criteria. Your doctor will also need to be able to show that this condition has been present for 12 months or more or that it is likely to continue for at least 12 months. What can lead to legal blindness? Any condition that can result in complete blindness may first cause legal blindness. These include congenital diseases passed down through genetics, physical traumas from accidents or injuries or any of a number of eye diseases. Among the most common eye diseases that lead to legal blindness are diabetic retinopathy, glaucoma, age-related macular degeneration and cataracts. Identified early, steps can be taken to slow the progression of these diseases, and in the case of cataracts, surgery can permanently correct the problem. Vision loss can be traumatic, especially the kind of extreme loss of sight defined as legal blindness. Depression and isolation from family and friends often accompany severe vision loss. The American Foundation for the Blind offers resources to help. Being legally blind can also impact your ability to work in your chosen field, or to progress professionally. That’s part of the reason the U.S. Social Security Administration offers disability benefits to legally blind citizens. To apply for these benefits, you must first have an appropriate diagnosis from an ophthalmologist or optometrist. Depending on the state in which you live, legal blindness may also impact your ability to legally drive. In Florida, the law requires minimum vision acuity of 20/70 or better in both eyes. If you or someone you love is experiencing vision loss, take action today to preserve or extend the vision you have left. To schedule your eye exam, contact North Florida Cataract Specialists and Vision Care today at 352-373-4300.